The Social Issue is run by journalist and commissioning editor Saba Salman (click here for Linkedin). It covers people, places and projects making a difference in society, and issues ranging from community to social enterprise, charity, social care, housing and families. See how to get involved with The Social Issue and contribute an idea or read this first post about aims behind the site. 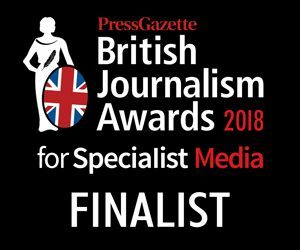 A year after launch, the blog was named as being among the best of the web by the Guardian’s online networks for housing and local government. 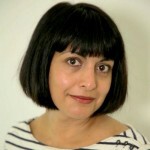 This blog is run by social affairs journalist, commissioning editor, Guardian contributor and RSA fellow Saba Salman. Saba was news editor at a series of London weekly newspapers and a national newspaper reporter before becoming the Evening Standard’s local government and social affairs correspondent. Saba is a trustee of Sibs, the charity is the only one in the UK to represent the siblings of disabled people. In 2018, Saba is researching and editing the forthcoming book with the publisher Unbound, Made Possible, a collection of essays on success by high-achieving people with learning disabilities (read more about it on the blog here). For Guardian articles click here or see Saba’s personal website. Saba has a particular interest in disability issues. Read about the reasons behind the Social Issue blog here or check out this page. Follow Saba and The Social Issue on Twitter, Instagram or LinkedIn. 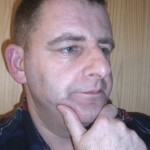 This blog also includes occasional posts by Lol Butterfield, a qualified mental health nurse and campaigner. Lol works towards eliminating the stigma and discrimination of mental health. He has also acted as an advisor for the Time to Change national anti-stigma campaign in the north east of England where he lives. Lol’s media work to challenge the many misperceptions and negative stereotyping of mental health includes television and radio appearances and newspaper articles. His autobiography, Sticks and Stones, includes his childhood experience of stigma as a consequence of his father’s mental health issues.